CONSTRUCTION: The 430 Stainless Steel Filter is a heavy stainless steel filter. 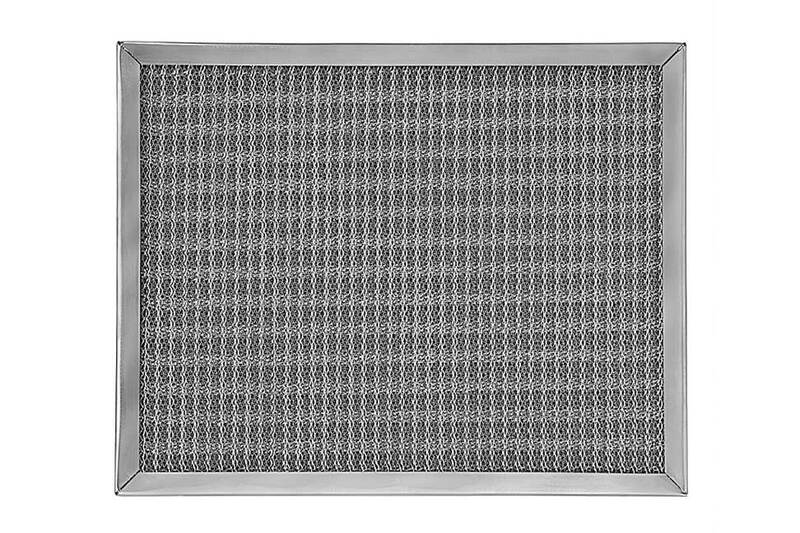 Made from 430 stainless steel, this filter has the qualities of a stainless steel filter at a lower cost. The frame is made from 430 stainless steel, roll formed for rigidity and holds the pad securely with stainless steel rivets. The 430 Stainless Steel Filter has a magnetic quality to it. This filter is designed to withstand high temperatures and can withstand harsh chemicals that may be needed to clean the filter. The maximum temperature for the 430 Stainless Steel Filter is 700 degrees F. Available in both stock and special sizes. PERFORMANCE: Filters shall retain 240 grams of grease or 300 grams of dust per 400 sq. inches of filter area. Resistance when clean is .075 w.g. at 350 F.P.M. air velocity. Maximum temperature range on this Stainless Steel filter is 700 degrees. MATERIAL: Filtering element shall be processed from Stainless Steel sheet expanded to .032 strand. Frame shall be made from type 430 Stainless Steel, not less than .024 thickness, joined with stainless steel rivets. The 430 Stainless Steel has a magnetic quality.